Special clinical interests in breast, stereotactic body radiotherapy (SABR), gynaecological, skin cancer and palliative care. 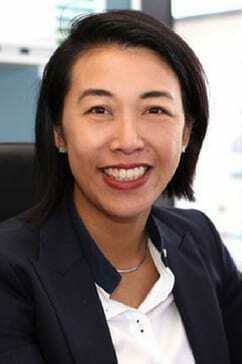 Dr Selena Young is based on the Gold Coast and attends GenesisCare treatment centres at Tugun and Southport. She also consults weekly at Pindara Private Hospital. Selena qualified in Medicine from the University of Queensland in 1997 and completed radiation oncology training at various hospitals in Brisbane and Sydney in 2005. She then went on to attain a master’s degree in Palliative Care from Flinders University, Adelaide and a Fellowship in Sarcoma at Weston Park Hospital, Sheffield, United Kingdom. In 2007 Selena commenced employment at East Coast Cancer Centre, now known as GenesisCare. She is Director of Training for the Royal Australian and New Zealand College of Radiologists radiation oncology registrars on the Gold Coast, a Senior Lecturer at Griffith University and is involved in teaching registrars and medical students. She regularly attends the Gold Coast breast, melanoma, lung and gynaecological multidisciplinary meetings.